Raúl Marcelo Bobadilla (born 18 June 1987) is a footballer who plays as a striker for FC Augsburg in the Bundesliga. Born and raised in Argentina, the son of Paraguayan parents, he represents Paraguay at international level, making his senior debut in 2015. Bobadilla originally started out at River Plate but moved to Concordia Basel in the Swiss Challenge League for the 2006–07 Swiss Challenge League season. Murat Yakin was trainer at that time and for Bobadilla this was a very successful season. He scored 18 goals in 28 League games and finished third in the goal scorer list at the end of the season. Yakin left Concordia and went to Grasshopper Club Zürich as assistant trainer to Hanspeter Latour for the 2007–08 Super League season and took Bobadilla with him. 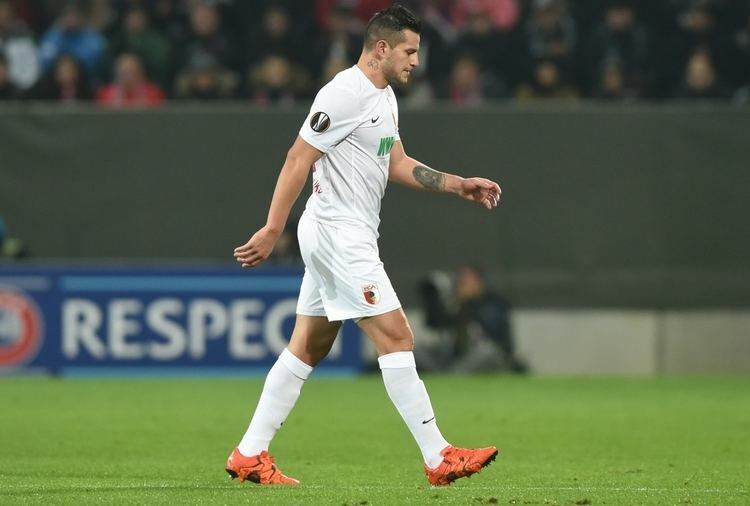 Bobadilla continued his good goalscoring form, becoming their first choice striker. Bobadilla finished in second place of the goal scorer list at the end of the season and was shortlisted in the Final 4 players for the Swiss League player of the year for the 2007–08 season, which was ultimately won by Hakan Yakin. 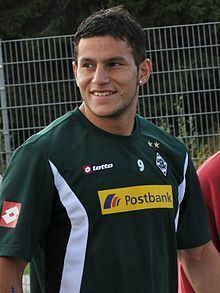 Bobadilla signed for Borussia Mönchengladbach on 11 June 2009 but returned to Switzerland in 2012 to play for Bern's BSC Young Boys. 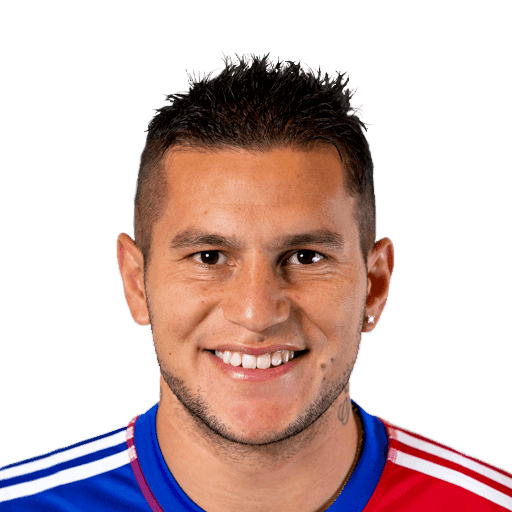 On 3 January 2013, FC Basel announced that Bobadilla signed a contract until 2017. He made his league debut for Basel on 1 April in the 4–0 away win against Luzern being substituted in during the 77th minute of the game. He scored his first goal for his new club on 1 June 2013 in the 1–0 home win in the St. Jakob-Park against St. Gallen. At the end of the Swiss Super League season 2012–13 Bobadilla won the Championship title and was Swiss Cup runner up with Basel. In the 2012–13 UEFA Europa League, Basel advanced as far as the semi-finals, there being matched against the reigning UEFA Champions League holders Chelsea, but they were knocked out losing both matches and being beaten 2–5 on aggregate. 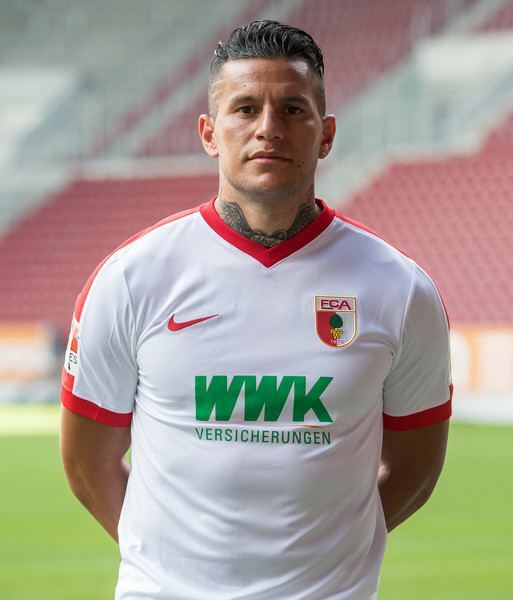 On 15 August 2013, FC Augsburg announced that Bobadilla signed a contract until 30 June 2016. 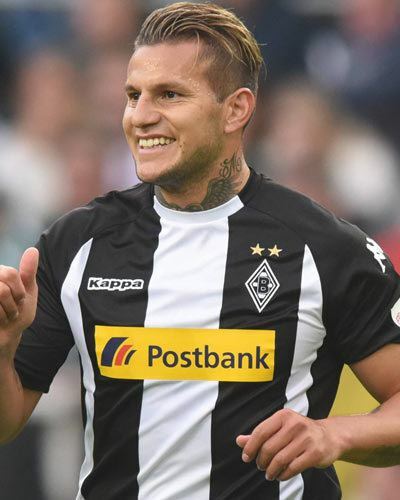 On 9 May 2015, Bobadilla scored the only goal as Augsburg won away at Bayern Munich, who had already won the league title, a back-heel after a cross from Pierre-Emile Højbjerg, who was on loan from the opponent. In the 14th minute, he had been fouled by goalkeeper Pepe Reina for a penalty, resulting in Reina's dismissal, but Paul Verhaegh's shot hit the post with Manuel Neuer taking over in goal. 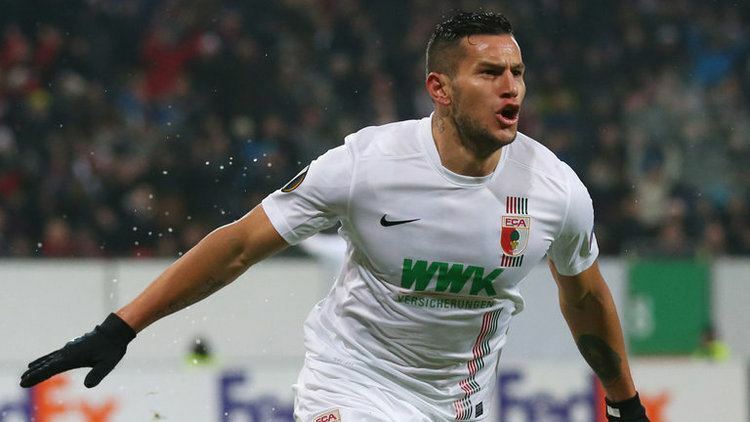 Bobadilla finished the 2014–15 season as Augsburg's top-scorer with 10 goals in all competitions. On 9 February 2015, it was reported by D10 and ABC Color that Bobadilla had begun the process of taking up Paraguay's nationality in order to represent the Paraguay national team, by way of his Paraguayan parents. On 11 March, he received his first call-up to the team, for friendlies later that month against Mexico and Costa Rica, making his debut in a 0–0 draw in San José. On 28 May 2015, Bobadilla was included in Paraguay's 23-man squad for the 2015 Copa América by coach Ramón Díaz. He started in the team's opening 2–2 draw against Argentina in La Serena.